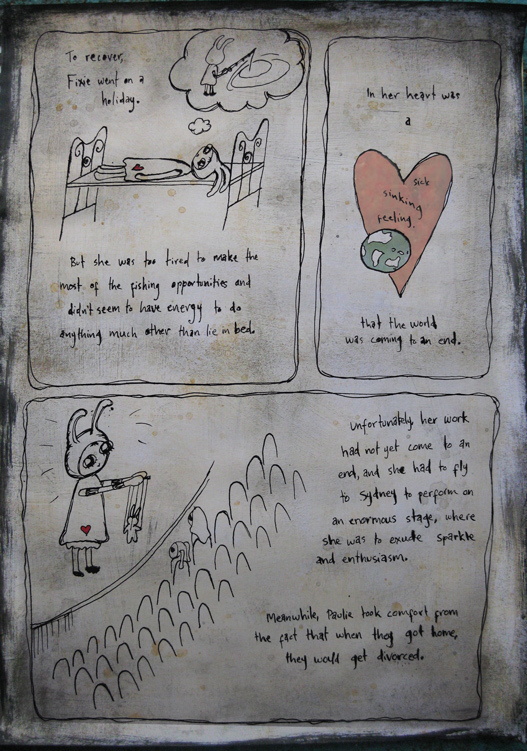 This is another page from my new journal. 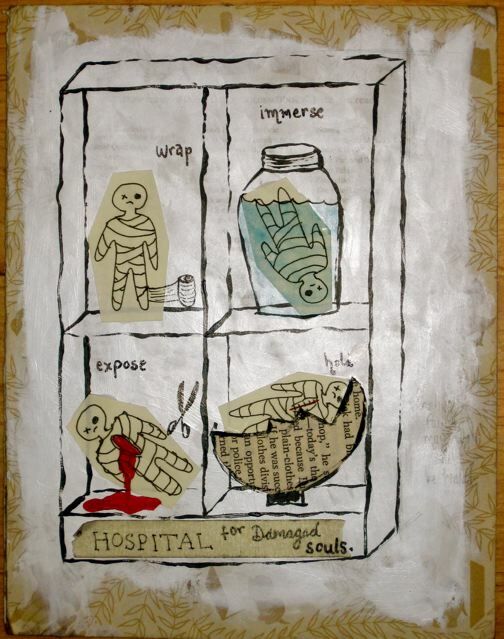 It represents a surgical procedure that is performed in the Hospital for Damaged Souls. First, the damaged soul needs to be wrapped, to protect it from the world. You could also describe this as to going to bed to hide. Next the soul is immersed… both in its own pain, and in a healing bath that will help to wash it clean. Then it’s time to expose what’s inside, probe and cut until all the dark stuff spills out. I’ve just painted blood here, but in my installation I’d like to have all sorts of things coming out, all the muck and baggage and darkness that we carry with us. Finally, the soul is placed inside the shell of an egg, to be held and nurtured in a womb-like fashion, until ready to emerge back into the world. 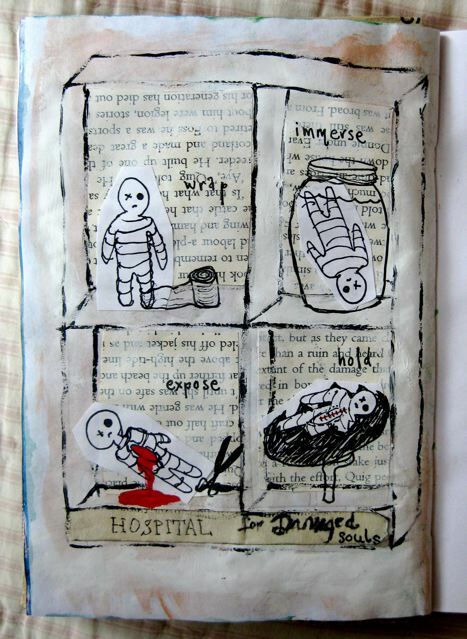 Paula so loved the Hospital for Damaged Souls page in my journal that she wanted to put it on the wall. I’m not prepared to rip it out of my journal, so I made another one especially for her. 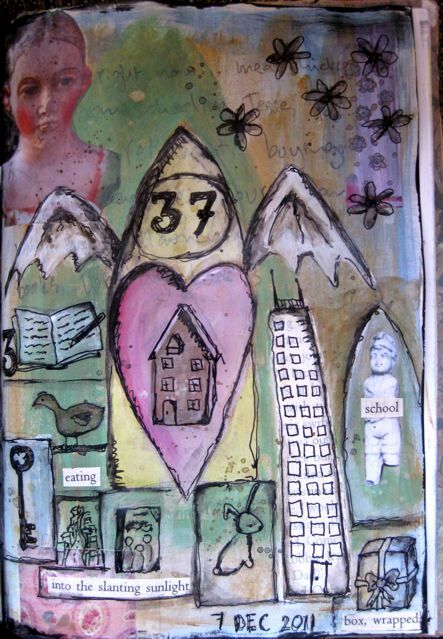 This one is painted/collaged directly onto the back of a Little Golden Book. I think I like this one better, especially the egg. 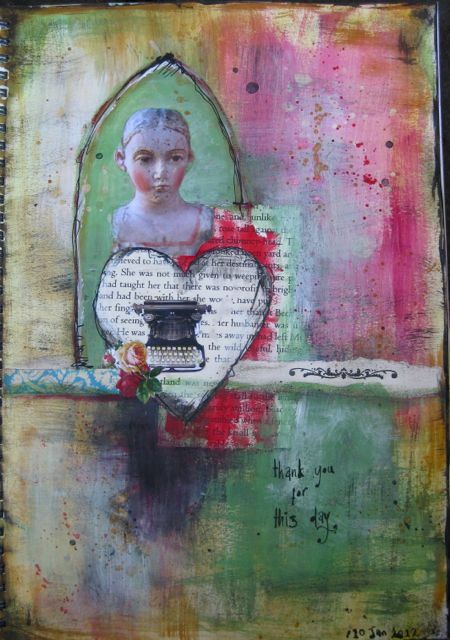 I really love my art journal – it feels like my friend. 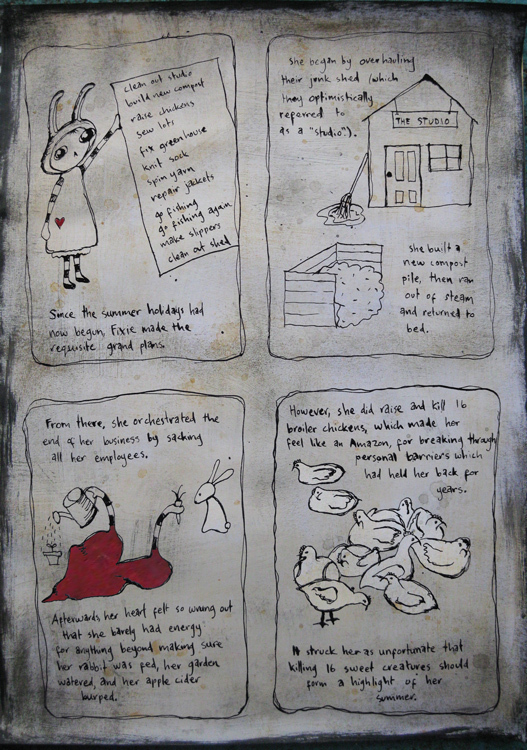 At night, while the bath is running, I do a quick page about my day. When I get a day off, I love to set up all my paints at the table and go for it for a few hours. I often go back and fix up pages I’ve done that week – adding colour and collage elements. I’m always searching for more inspiration. I have a handful of favourite artists, and when I’m stuck (which is fairly often), I copy elements of their style in my journal. 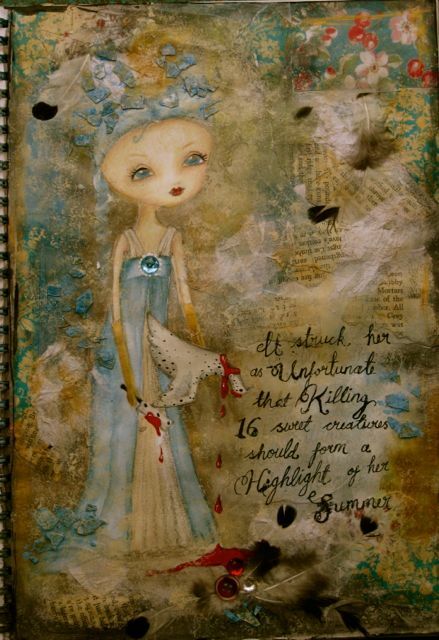 I love the vintage style and colour palattes of Pam Garrison’s work. 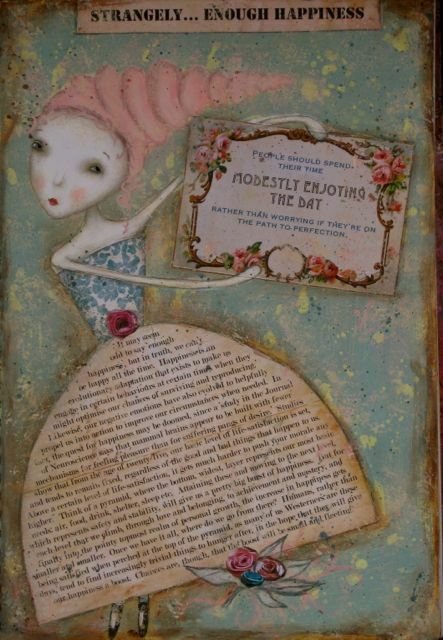 I’ve done page after page following Teesha Moore’s journaling process. I am inspired by the grids of symbols by Lisa Kaus. I’ve been working with grids since long before I discovered her work – but she really makes them look good. 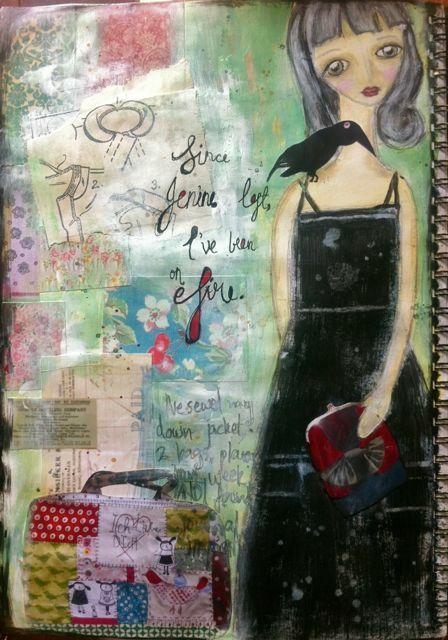 I often leaf through my copy of 1000 Art Journal Pages and pick a style to try out. The thing I’ve really been wondering though, is when I will develop my own journaling style? I try out the styles of other artists, become really inspired, and then suddenly I’m completely over it and move on, looking for my next inspiration fix. Other artists seem to develop their style, and their range of colour palettes, and make their own distinctive mark. What is mine? Is there any style that could sustain me beyond a brief fad? This week I read Corey Moortgat’s The Art of Personal Imagery. She describes an exercise to help us identify symbols in our own work. I adapted her exercise to help me search for my own journaling style as well as symbols. 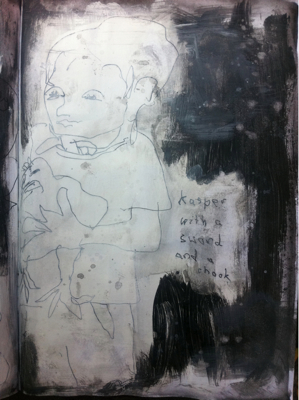 I looked through my current journal and bookmarked all the pages that I felt were truly MINE, not copied from another artist. – Most of my pages were a kind of vision: black ink line drawings of scenarios I might one day create: an aquaponic fishpond, a simple life, an amazing garden, the projects I’ll work on this summer… And almost all of the visions were domestic in content. – My colours were mostly dirty – ochres and smudges of black with dusty greens. 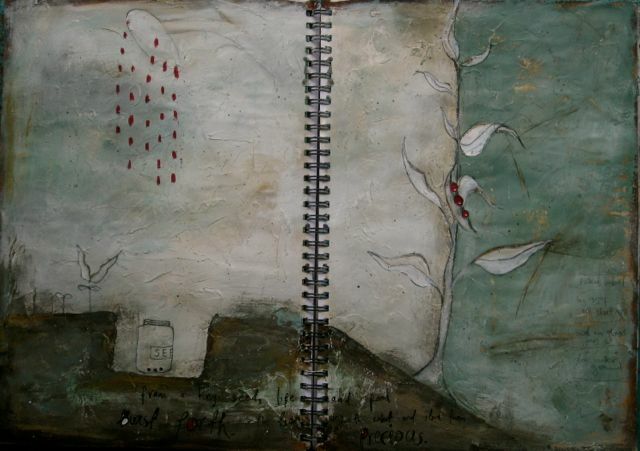 – The pages I did when I was unhappy were by far the best – expressive and rich with colour in ways that I hadn’t planned. 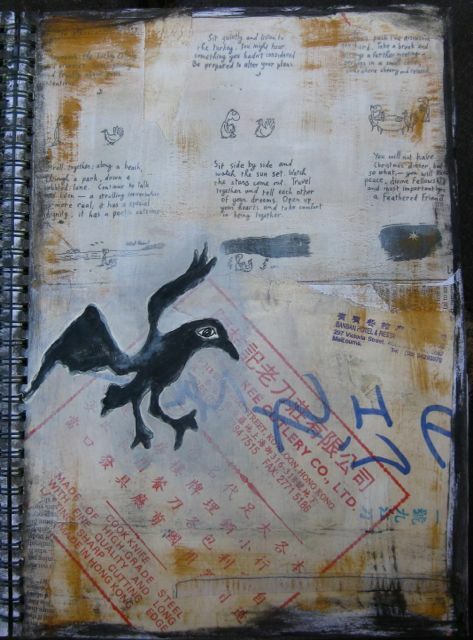 So I asked myself, how can I develop these themes into an art journaling style that is MINE and that appeals to me? – Focus on dirty colours with lots of layers, to create more texture in my work. The pages with a lot of texture are the ones that appeal most to me, so I’ll try to expand this. I’ve been creating colour palattes for myself: when I see a collection of colours I like well together, I save them in palatte format, and later deliberately use them in my work. Now I’ll try to expand my colours to incorporate some of these new palattes in layers along with the ochres, blacks and greens. – Continue creating pages that are a form of vision, often presented in a kind of grid. This style feels very natural to me, so I’ll do it a little more deliberately. – Look for and reuse the symbols that have been developing, and consciously make use of more symbols. Corey Moortgat uses lots of arches in her work, which I really love. Almost everything I’ve ever built or created with an architectural slant has gothic arches, but it hadn’t occurred to me to use the gothic arch as a part of my journaling grids. I love it. Also I’ve been wanting to incorporate wings in my work for a while, but haven’t found much context for them. However, right now they symbolise the changes that are happening in my life – the hope that I’ll fly upwards to something new and wonderful. – Learn to make more of my ink drawings – use water and paint brushes as well as my ink pen, to create dirtier and more textured lines and images. 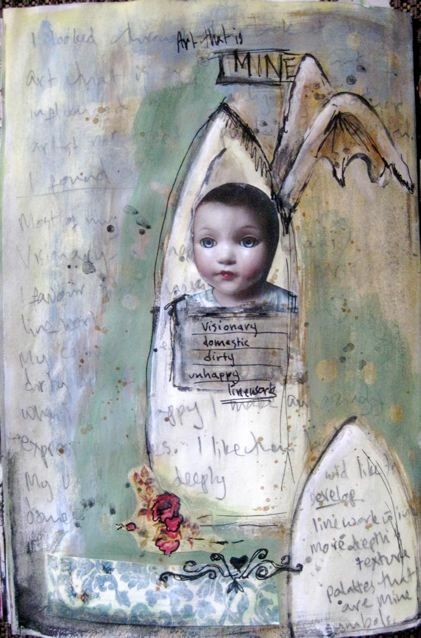 I have borrowed a copy of Drawing Lab For Mixed Media Artists by Carla Sonheim and I’m in love! 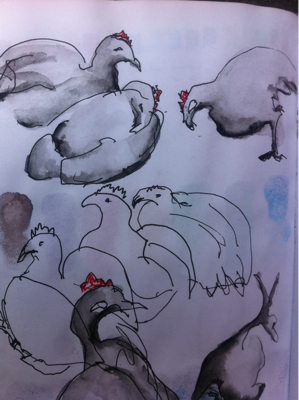 First exercise I tried was blind contour drawings of my chickens. The idea is that you don’t look at your page while the pen is moving. I was rapt with the way some of mine turned out, though the first few were pretty wonky. I rendered some by adding watercolour. One little chook is marked – he is destined to become dinner this week. He has a very sweet habit of following me and sitting at my feet. Poor little thing. I don’t know if I’ll be able to go through with it – maybe I’ll pull out an anonymous unmarked chook for the pot instead. Anyway, I drew him as he sat at my feet. Doomed. I’m so loving these contour drawings. This is a portrait of Kasper, who lives in our street, holding up one of my lil chooks. Carla Sonheim suggestes writing with the left hand for more childlike text. I like it. I tried another exercise in Drawing Lab: draw 20 cats from your imagination while sitting in bed. I drew rabbits instead, and I had so much fun with this. I learnt a lot too, especially about what eye and mouth shapes make what facial expressions. I like best the blobby shapes rather than clearly defined shapes. I rendered some of them with quite a bit of detail – pencil shading and polkadots. When I’d done them I didn’t like them much. But when I came back later with fresh eyes they ended up being my favourites. This week I made candles. Jesse joined me and made his own. He’s so very proud of his, he has it next to his bed and lights it each morning, (in fact, several times a day, as far as I can tell). Then he quickly blows it out so it doesn’t burn down, and sits there enjoying the sweet scent of the smoke. 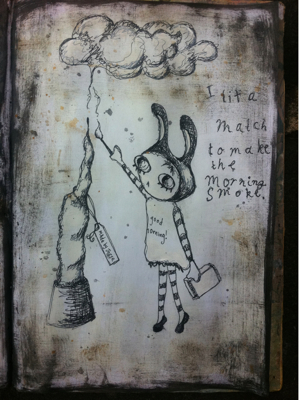 The other morning, he said to me, “I lit a match to make the morning smoke.” I thought this was so fetching, I’d write it in my journal. 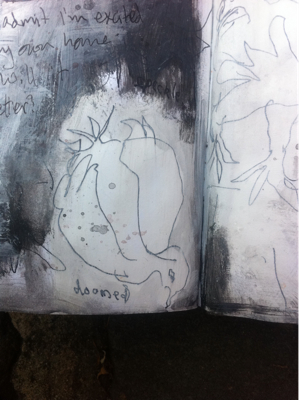 Then I remembered Carla Sonheim suggested using sweet things kids say as titles for drawings. I started with a blind contour drawing of Jesse’s candle and took it from there. I remembered the facial expressions I’d learnt while drawing rabbits, and went for alert, concentrating and serious. I also remembered I’d vowed to try dirtier ink drawings, so added in lots of cross hatching and additional messy lines. Then I dirtied up the whole page using acrylic paints. I’m rapt with how this turned out, especially because the whole piece is MINE without bits or styles directly copied from other artists. And like most of my pieces, I see that it’s domestic in nature. I did this page in my journal after a particularly lovely day of writing. My friend Laura told me that next to her seven year old son Talin’s bed, she found a little note, where he’d written, “Thank you for this day.” How utterly sweet. 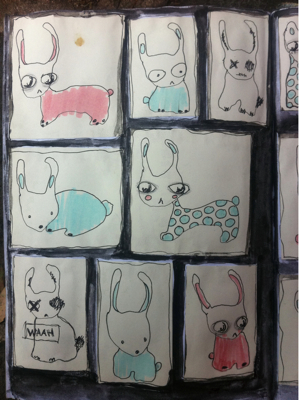 I remembered Carla Sonheim’s suggestion to use kids’ words as titles for artwork. Voila. I like this page. I tried out a different combination of colours than I usually use, and I’m liking them. Still going with my layers of textured backgrounds and dirty ink. 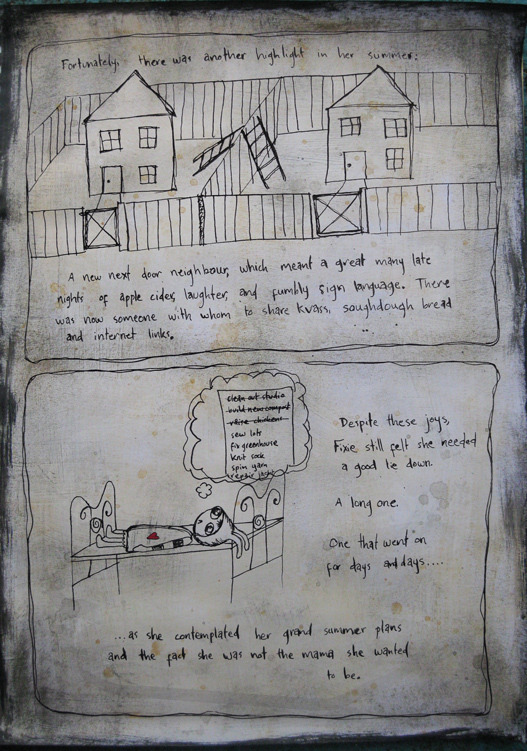 I did this page in my journal to celebrate a wondrous thing: having a new next door neighbour that I just clicked with. For years I’ve longed for a true sense of community, kids next door for Jesse to play with and the kind of neighbours where we can pop in and out of each others’ places all the time. I didn’t dare, though, to long for a real friend, the kind of person I can have a quick chat with after dinner and discover that suddenly it’s almost midnight! Since Suni moved in next door, a lot of my hours have gone missing. There’s been a reason, almost every day, to chat over the fence, make something together, or let the kids play. Thank you, Suni, I hope you stay a long, long time! 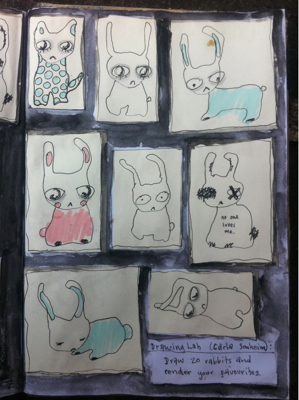 I have been doing some blind contour drawings of rabbits. These two were my favourites. I made myself a rough collaged background, and rendered them in a style that I was inspired by from Drawing Lab. 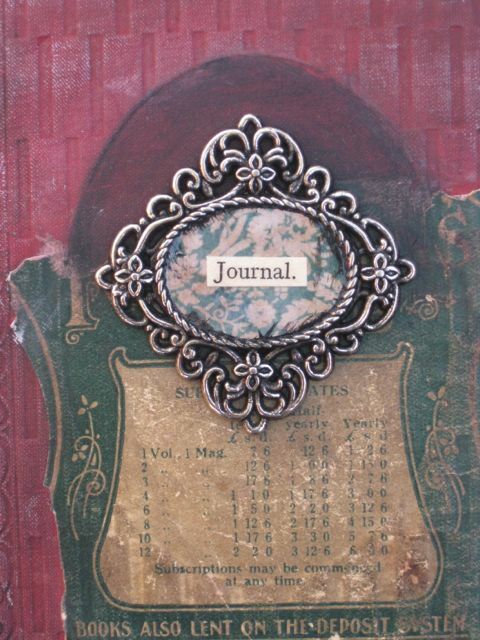 I made this journal page with the paper our cleaver came wrapped in. Ah ha. That was our cleaver. The bird was one of my blind contour drawings which I particularly liked. This is what I did this summer. Click on the images to enlarge them so you can read the text. If you still can’t read the text when you click on the images, you can download this as a pdf. I was inspired by Drawing Lab to practise drawing faces. I didn’t follow a particular exercise in the book. I just went with several portraits from my imagination, all based on a single pose. I noticed what small changes in posture and facial expression did to the energy of the portrait. The above drawing was my favourite. I used it as the basis for a page in my journal. 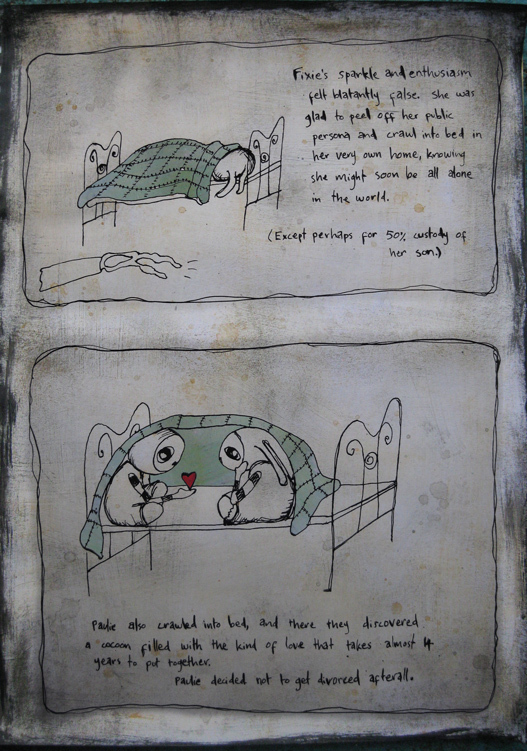 I did this page in my journal a while ago, before I did the Fixie’s Summer Holiday story. It’s one of my favourite pages – I think I’m in love with the colours. I made this bag for my art journal. On the other side it has lots of pockets to hold all my supplies. I used the Ich Liebe Dich patch Jesse embroidered for my birthday, and a bird that was on a T-shirt he had when he was a baby. 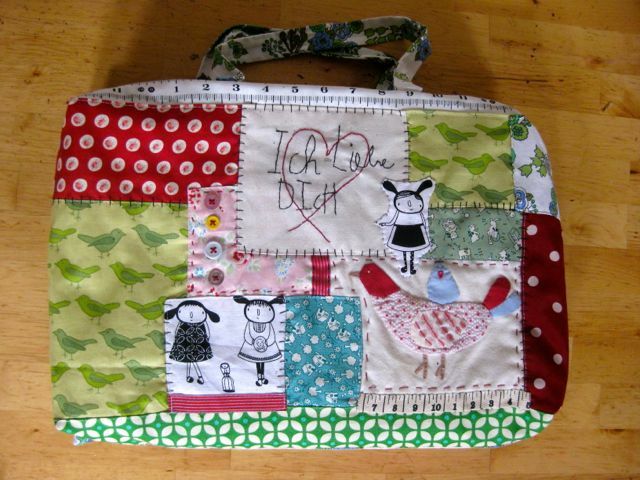 The other fabrics are from my stash, long time favourites. I love it. I’m just rapt with this. No more boring cardboard boxes. I started with an old book that I got from the op shop, and I added paint to the cover so that the beautiful embossing was highlighted. Then I added some embellishments to the front. I cut the internal book out of the cover, and made some new innards. I just used recycled office paper. I took seven sheets, folded them in half together to make a signature, made several signatures, and sewed them all together. I took the sewn signatures to a print shop and asked them to cut them to the same size as the book pages I had removed. Then I glued a strip of fabric down the spine of my signatures, to give it extra strength. The fabric was a bit too wide for the spine, and so I glued the extra width onto the inside of the cover, so that the new innards were attached. I glued some ribbon ties to the inside of the cover, and also a ribbon to be used as a bookmark. I glued two of the outtermost pages at the start and finish of the book to the cover too, for additional strength. And finally, to add a sweet touch, I took a couple of pages from the original book and glued them to the inside of the cover, over the top of the two glued down pages. Another tip, if the book is to be used as a collaged, painted journal, make the innards somewhat thinner than the original book. 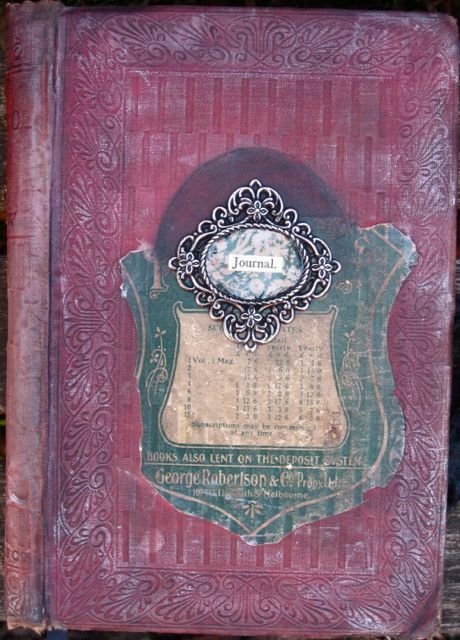 Once the book is filled with collaged items and paint, it will bulge outwards. With this approach, the finished book should sit nice and flat. My friend Jenine came to visit. After telling me she’d only done a few doodles in the journal I gave her, I was stunned to see page after page of raw expression, each one so unique in style, so many ideas I wanted to try out in my own journal. We sat up late, journaling together. Bliss! This is my journal page about Jenine. Since she left, I’ve been on fire, creatively. 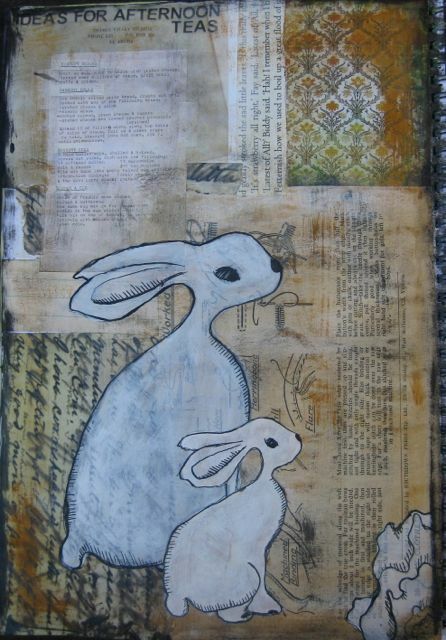 I am also inspired by a book, Art Saves, with beautiful artworks and tutorials to show me how to do them. 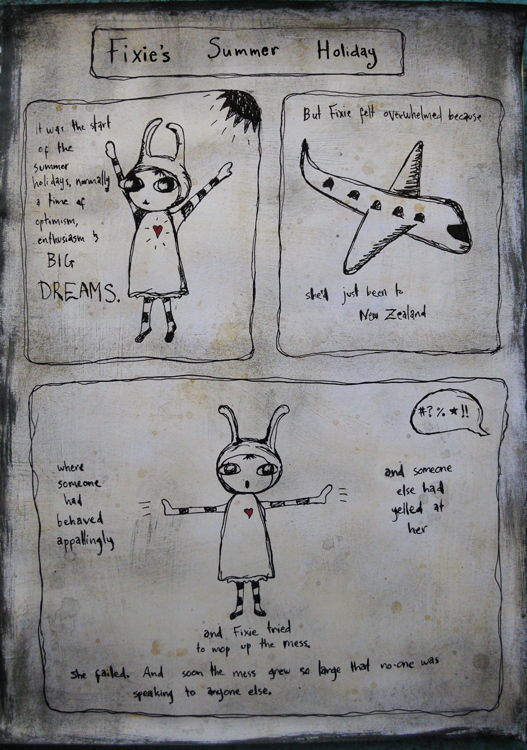 I liked the work of both Suzi Blu and Kelly Rae Roberts. I did this page in my journal following a tutorial in the book Art Saves, which has been real fodder for my pages lately. I’m taking an online art course, where I’m learning to shade a face with coloured pencils. I used an easter egg wrapper for the eyes, to really make them pop. While I was working, this page looked really naff, and I just didn’t think it was going to work. At the very end, I blotted cream paint over it, and suddenly it came together. Go figure. I’m very pleased with it now. A quick rough page in my journal. I glued in one of the girls I scribbled as part of my practise for my art course. 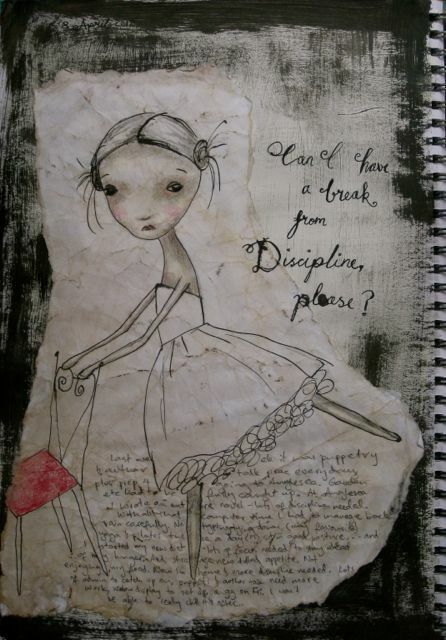 It’s been a time of tight discipline lately. I wrote an entire novel, the third book in The Grimstone series, in one week, just before Easter! I had to work fast, so that the book will be ready for release in December – just in time for Christmas. In order to pull off this feat I needed serious discipline, not only to do the writing, but to manage my back so that it didn’t seize up with all the computer time. That meant yoga and pilates practise twice a day, being a good girl and taking actual computer breaks for the first time in my life (I can never pull myself away – can’t bear to break up my focus). 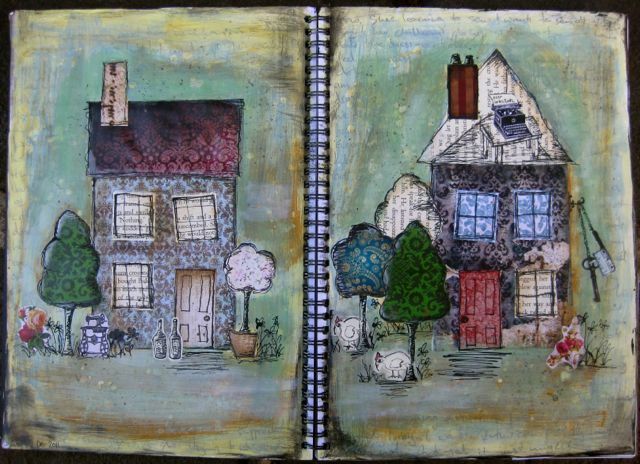 I did this page in my journal following another tutorial in the book Art Saves. 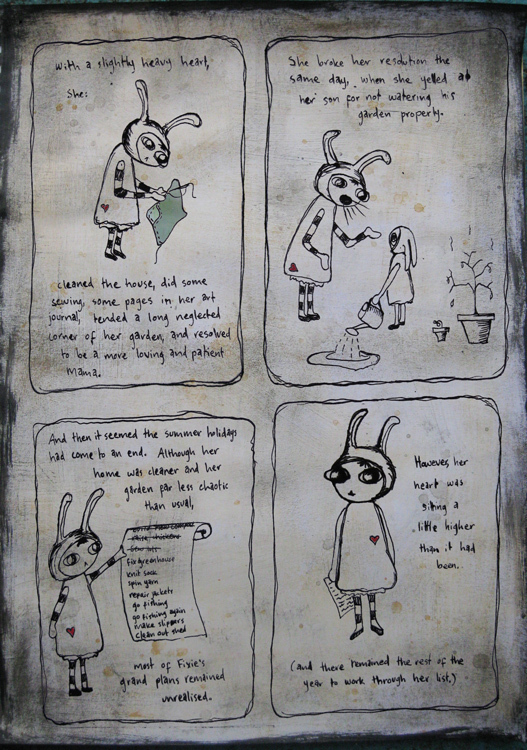 The painting is based on an original by Stephanie Lee, so I can’t really claim this as my own work, though I did add my own theme to it: seed collecting. I’m trying to learn how to save and store seeds at the moment, a project which feels both daunting and slow, but I’m sure I’ll get there eventually. Anyway, back to the painting, Stephanie Lee does heaps of amazing art with plaster, and her original painting had amazing texture as a result of putting plaster onto wood as the base. I don’t have any plaster on hand, but I found a pot of texture paste in the bottom of my art box, and used that. I love the textured result, and I really really love the colours. I hope this somehow marinates itself and leads to an artwork that I CAN call mine. I’ve worked my way through several lessons in the online art course I’m doing. 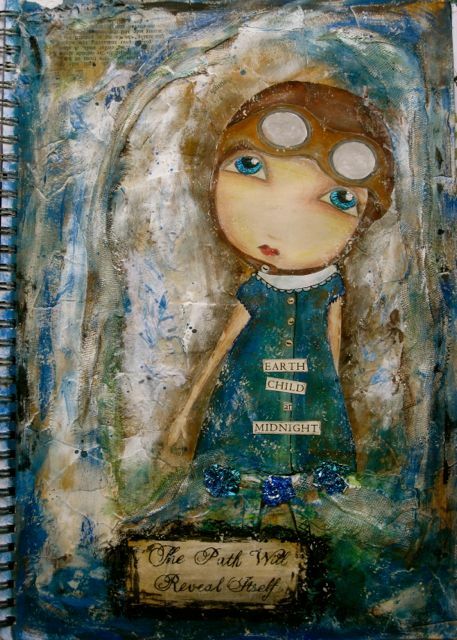 This page in my journal is my first attempt to put a doll onto a mixed media background, following the process taught by Suzi Blu. I’m loving all the texture. 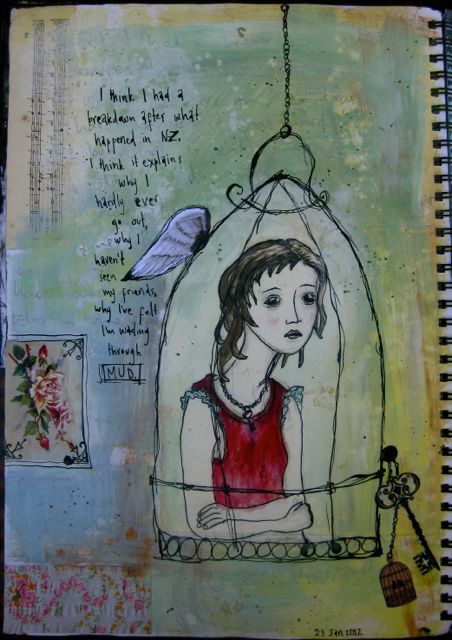 I have learnt so many tips and techniques from the course that I’m finding myself lying awake at night trying to process it all, and merge that information with what I already know about art journaling, painting and drawing. 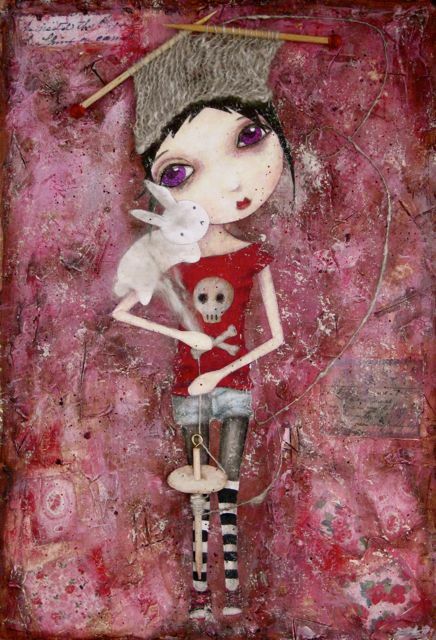 For this painting I was also very much inspired by Nicoletta Ceccoli – I love the way her illustrations have a sharp “edge” to them, and I wanted to incorporate that idea along with the prettiness of the doll and background. It’s actually so fat I had to take it out of my journal. I think I’ll glue it to a piece of wood and hang it on the wall.